A new thing is happening! Doing something new is hard and scary and oh so exciting. 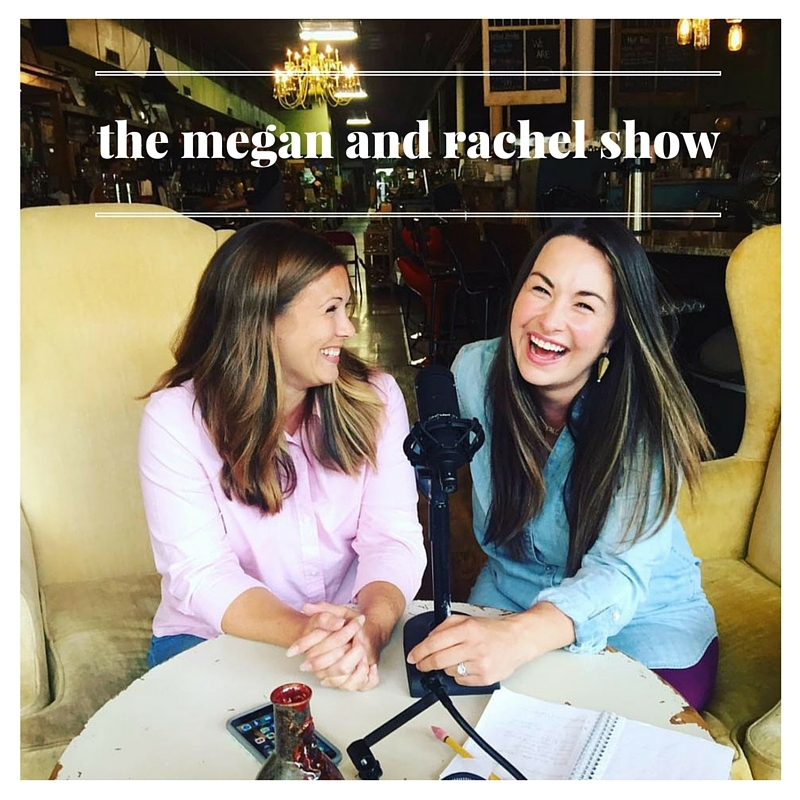 So, deep breath... One of my most hilarious friends, Rachel Webb, and I teamed up and started a podcast! It's so strange because for a looooong time I've been writing words here on the Internet and now I'll be speaking them. Ignore the Kentucky twang if it's at all possible. (It's not possible) It's a whole other world for me. It's also so much fun. Rachel and I are having a blast making podcasts. We seriously can not behave ourselves for even a second. We are putting together shows on everything from friendships and FOMO and confidence to Gilmore Girls and adoption and we are cooking up some amazing guests for our show. It's a light hearted fun corner of the podcast-sphere (is that a thing? I don't even know. We are still figuring this thing out!) Basically, the goal of our weekly show is for you to feel like you are sitting around the kitchen table with us having girl talk. If you'd like to listen to our podcast, our first show is now LIVE! You can listen to it from our website HERE. If you are on iTunes, you can hit the purple podcast app, search THE MEGAN AND RACHEL SHOW and play it right from your phone. Or click here to go to directly to it on your iPhone.